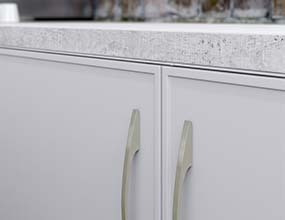 With its sleek lines and matt finish, Quadra is a beautiful and contemporary kitchen style. It features a raised frame detail that bridges the gap between traditional and modern, perfect for people who can't decide on which style to choose! 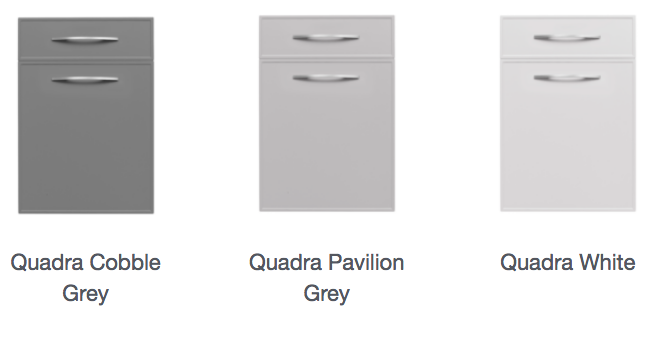 The soft-touch matte finish is available in three on-trend colours that offer a stylish, yet muted finish. 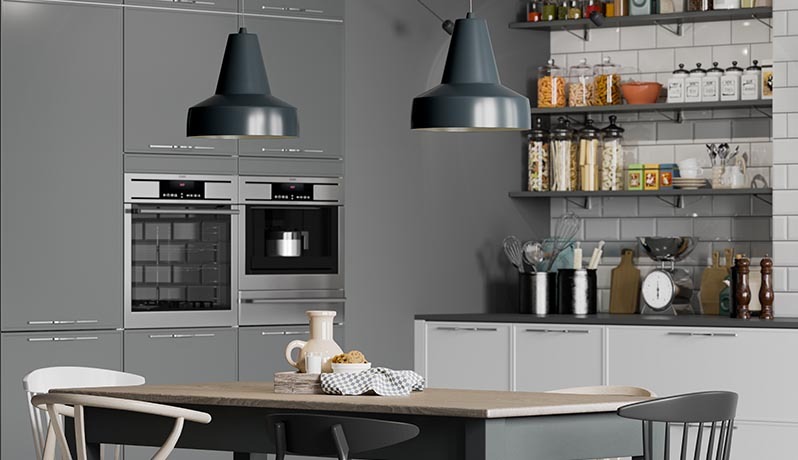 Why not mix the striking cobble grey with white to achieve a breath-taking kitchen design. 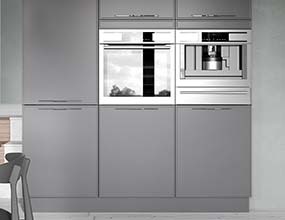 Or for a more muted shade, choose pavilion grey that offers cool and sophisticated style with minimal effort.